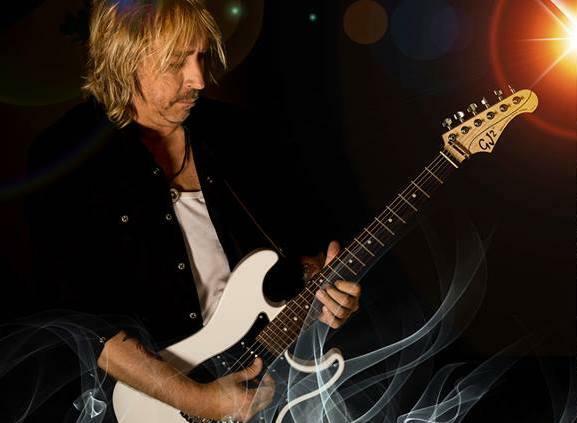 Paul Nelson, Grammy Winning Guitar Virtuoso & Johnny Winter Protege, On Tour In Support of Latest Album "Badass Generation"
Worldwide touring has always been a constant in his career. Nelson and his time with Winter was no different, performing and/or recording along side an array of today's top artists such as: Slash, Vince Gill, Joe Walsh, Eric Clapton, Warren Haynes, Derek Trucks, Sonny Landreth, Edgar Winter, Billy Gibbons, Leslie West, Susan Tedeshi, Joe Bonamassa, Dr. John, Dickey Betts, Rick Derringer, Brian Setzer, Larry Carlton, Robben Ford and countless others. Major appearances such as television performances on “Late Night with David Letterman” and “Jimmy Kimmel Live” soon followed. This finally led Nelson to perform on and produce “Step Back,” a posthumous, star- studded affair, - pairing him on recordings with Eric Clapton, Billy Gibbons, Joe Perry, Ben Harper and many others, earning both Nelson and Winter Grammy Awards for “Best Blues Album”. Nelson still feels the loss of his friend and mentor. But he also recognizes that new creative endeavors are ahead. Nelson received a Grammy award for his work performing on and producing Winter's “Step Back” release on Megaforce/Sony winning “Best Blues Album of the Year” highlighting his already long list of Grammy Nominations. As well as the BMA “Blues Music Award” for “Best Blues/Rock Album” reaching #16 on the Billboard Top 200 and staying at #1 on the Billboard Blues Charts for weeks. He is also a recipient of the Blues Foundation's KBA “Keeping The Blues Alive Award”. His music has reached millions with appearances on Late Night with David Letterman and Jimmy Kimmel Live, and on award winning documentaries: “Down and Dirty” The Johnny Winter Story and “Sideman: Long Road to Glory” (feat: Bonnie Rait, Gregg Allman, Hubert Sumlin), as well as music written/performed and broadcast nationally on NBC and on multiple major album releases, books, instructional guitar columns, live Concert DVD's, and guest performances on countless recordings. Staying at #1 on the “Hot New Releases” charts for months Nelson's latest project “Badass Generation" on Sony Records still maintains his unmistakable connection to the Blues, but it also finds the guitarist showing his many other musical dimentions fans have come expect considering him one of music's most respected and influential contemporary artists. The formation of The Paul Nelson Band and new self-titled album marks the next step in that evolution. Nelson's latest project still maintains an unmistakable connection to the blues, but it also finds the guitarist showing his other musical dimensions, from hard-edged, uncompromising rock and blues to acoustic-driven singer-songwriter fare.